This week, aspiring young chefs, restaurateurs and hospitality leaders from across Southern California experienced some of the best-known restaurant and hospitality companies together – and helped put students on the path to achieving their dreams. The event, called “Experience Hospitality,” is a leadership summit hosted in Anaheim and hosted by the California Restaurant Association Foundation (CRAF) and the CSU Hospitality & Tourism Alliance annually. 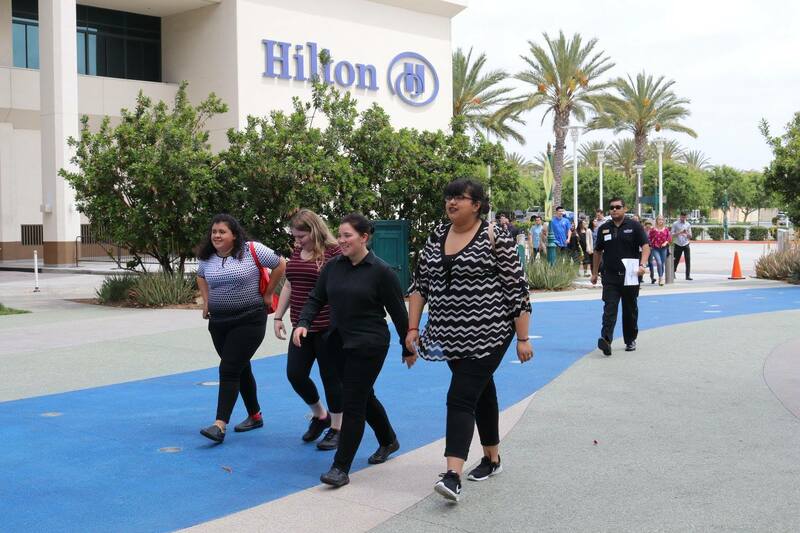 During this mega fieldtrip, students are separated into groups for exclusive tours of Orange County’s top hotels, restaurants and hospitality venues. The day wraps up with a college fair and a networking lunch. “We want to inspire students to dream beyond their neighborhood and see that college and professional careers are within their reach”, commented Alycia Harshfield, Executive Director of the California Restaurant Association Foundation which hosts the summit. “We are proud to have the support and leadership of the CSU and the Southern California hospitality community to make this possible”. The students are part of the ProStart® program, a culinary arts and restaurant entrepreneurship program supported by the CRA Foundation. Thank you for making Experience Hospitality possible!